As far as last weeks question goes I would rather wildly and uncontrollably flail my arms around whenever I walk. That way my arms would be super toned (like Jennifer Aniston ) and I would constantly be burning calories. Awesome. Have to learn to walk all over again? Learn to write all over again? I cannot believe tomorrow is Thanksgiving! I hope you all have a wonderful day spending it with people you love and filling your bellies with amazing food. Let the holiday dysfunction begin! On a side note: I recently shared by top 10 beauty superfoods over at Yummy Mummy Kitchen, which is one of my favorite foodie blogs! You can check out Marina's awesome blog here. Oh this is a hard one! I think I would rather learn to write all over again! Maybe then my hand writing would improve! I hope you have a wonderful Thanksgiving! Learn to write again--I could just use a computer in the meantime! i'd rather learn to write again i think. because at least i could still type ;) i'm not sure i could give up walking! Love these! I would definitely learn to write again. haha, I love your reasoning for flailing your arms. I have to go with learn to write again. Walking is too necessary and at least with learning to write again we could still type, right? :) Happy Thanksgiving! Have a wonderful Thanksgiving Linds! I hope you enjoy the time with your family! Ooooh, after only seeing the first one, I thought for sure I'd pick the second no matter what, but now I don't know! Anytime I see someone in rehabilitation on TV I think how hard that must be. But I also have a kindergartner who is learning to turn some of his letters and numbers around so that they're not backward and I see how hard that must be to learn from scratch. I CAN'T DECIDE!!!! I would much rather learn to write again. I could still express myself verbally atleast, whereas with walking I feel your limitations are much greater. Happy Thanksgiving! 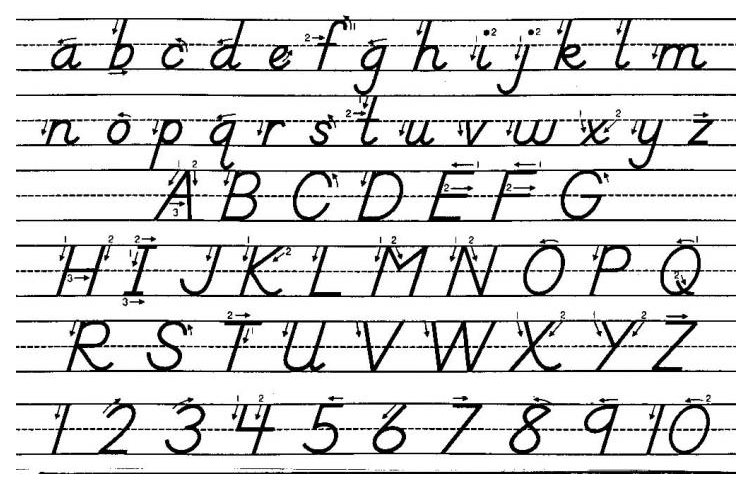 I would rather learn to write so I could make sure it was one of the lovely, curvy styles, like my great grandfather used to write. Simply beautiful. I am gonna go with everyone else on this and say learn to write again. Not a tough one at all. I had to re-learn how to walk after a sever knee injury, so I definitely pick re-learning how to walk :) It's not an easy task, but when you're motivated, you learn how to do it! Dang girl...always getting me to think hard! Ha ha! I would rather learn to write all over again! Oh jeez Lindsay...so so hard. As I writer I'm inclined to say "walk again." But then again I hear that is such a huge challenge. Ehh...I'd probably go with write again...maybe I'd have another shot at being the next big novelist. Writing! As everyone else has said, I could still type. I would rather learn to write again. I type all the time anyway. Lol! I'd go for learning to write...maybe I could my penmanship better the second time around! hmmm, probably write...but that's a tough one! I would rather write...happy thanksgiving!! WOW! Way to hold us accountable :) I can't even choose! I think I'd rather relearn to walk! Just this year I had reconstructive surgery on my knee and re-learned how to walk! It was painful and EXPENSIVE with all the visits to a physical therapist. As much as I looove my loopy handwriting, I think I'd rather learn to write again! Hope your Thanksgiving goes swimmingly! I think I would much rather learn how to walk all over again. Writing is my livelihood, I adore combining words in different ways. It's just not a skill I can imagine losing. I would rather learn to write all over again since this day and age, people don't really write that much anymore anyway.